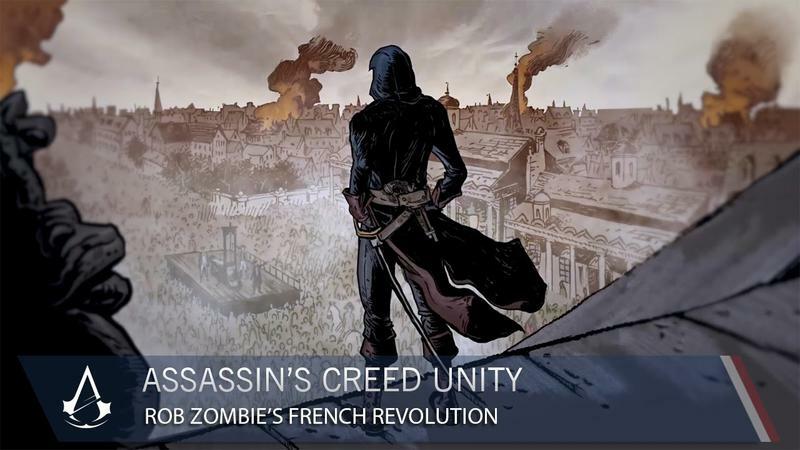 Rob Zombie and The Walking Dead illustrator Tony Moore announced that they would be showing off a collaborative Assassin's Creed animated short at San Diego Comic-Con this week, and now it is online and ready for the public to watch. Just be warned before you do. This is not for the squeamish and faint of heart, and it is definitely NSFW. We are talking about the guy who directed The Devil's Rejects and the dude who draws the most gruesome zombie deaths in recent memory. Don't be expecting Dragula part 2 or anything. This animated piece is a very violent, very gruesome, and not overly pleasant look into the realities of the French Revolution. The guillotine lopping off the heads, raids on houses of the rich, firing squad executions, and horrific murders or soldiers and peasants alike. It's a time of war, rife with the tension to rekindle the eternal struggle between the Assassins and the Illuminati. Also included with the animated short is an behind the scenes look at how the two went about creating this short film. Be sure to check that out as well.